I have heard that I may be descended from Oliver Cromwell. Is that possible, and, if so, how can I go about confirming it? There are many people alive today who are directly descended from Oliver Cromwell. Cromwell had nine children, six of whom survived well into adulthood and married. Although Mary’s marriage proved childless, in due course the other five had children of their own. The lines descending from Oliver’s son Richard and his daughter Elizabeth continued for just one generation, for none of their children appear to have had children of their own; thus those two lines quickly became extinct. However, Oliver’s remaining three children, his son Henry and his daughters Bridget (from the first of her two marriages) and Frances, established lines which have been traced down to the late nineteenth century and which are known or very likely to continue to this day. Thus if you really are a direct descendant of Oliver Cromwell, you should be able to tie into one of the known and documented lines coming down from Henry, Bridget or Frances. The Association has collated all of the published genealogies and added and edited where evidence supports the case to do so. The genealogy is available for you to search here. A number of historians have worked on Oliver Cromwell’s family tree and have constructed lines of descent from him. The first to attempt to do so in a fairly systematic way was Mark Noble. His Memoirs of the Protectoral-House of Cromwell, which was first published in the 1780s, attempted to trace Cromwell’s descent down to the latter half of the eighteenth century. Although it contains a number of errors, Noble provided the foundations for much later work. A century or so later, James Waylen produced The House of Cromwell and the Story of Dunkirk; first published in 1880, it quickly went through several editions, including an 1897-8 edition edited by John Gabriel Cromwell. Waylen provides what is generally accepted to be the fullest and most accurate account of Cromwell’s direct descendants. He took the surviving lines down to his own day and the account is more or less comprehensive down to the 1860s or a little beyond; in some of the later editions, a few additional births, marriages and deaths which had occurred during the 1870s and 1880s are noted. Although Waylen remains the most authoritative account of Cromwell’s descent, some further work on the family tree appeared during the twentieth century. For example a selective pedigree was included within the Victoria County History of Huntingdonshire and in a work privately published in 1964 Lieutenant-Colonel L Cromwell reconstructed Some Pedigrees of the House of Cromwell. 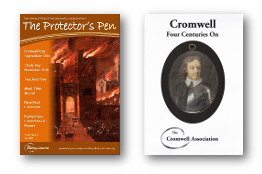 The latter work contains a wealth of genealogical information, though it is important to note that much of it concerns Cromwell families only distantly related or unrelated to Lord Protector Oliver Cromwell and his descendants. Tracing your line back to the mid Victorian period should not prove very difficult in most cases, as modern records are plentiful and easily accessed. If you are starting from scratch, go back as far as living memory permits; ask older members of your family to tell you what they can about your grandparents and great-grandparents. You should be able to trace back the preceding few generations of your family through certificates of birth, marriage and death. These certificates date back to 1837 in England and Wales and can be accessed via The Family Records Centre (run jointly by the Public Record Office and the General Register Office) at 1 Myddleton Street, London. Certificates of births, marriages and deaths which occurred in Scotland date back to 1855 and can be accessed via the General Register Office for Scotland at New Register House, 3 West Register Street, Edinburgh. There are also census returns available for 1841, 1851,1861, 1871, 1881, 1891, 1901 and 1911, and can be viewed from the web. Full details of these and other records centres, together with lots of other information about tracing your family tree, can be found at www.familyrecords.gov.uk. If you need further help and advice, most counties and many towns have their own family history societies or equivalent, which can generally be found quickly and easily on the web. 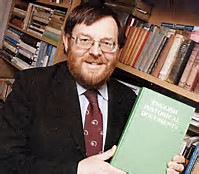 The Federation of Family History Societies has its own, very helpful web site at www.ffhs.org.uk. Your local town or county records office may also be able to help or to offer advice. If you are really stuck or at a loss, you may wish to engage and pay a professional genealogist to help. Your county record office may be able to advise on local researchers. By using living memory and by accessing these records and sources, it should be fairly simple to trace back your direct ancestry as far as the mid or early Victorian period. If there is, many congratulations, for it does seem, therefore, that you are a direct descendant of Oliver Cromwell. If not, and the stories of Cromwellian descent therefore appear unproven or unlikely, do not despair, for even if you cannot show that you are a direct descendant of Cromwell, we hope that you will continue to be interested in Cromwell’s life, career and achievements. If it appears that you are not directly descended from Oliver Cromwell himself, it may, of course, be possible that you are closely related to him and descended from another member of his close family, such as one of his sisters or aunts or uncles. Oliver Cromwell had no brothers who survived infancy, but he had seven sisters, at least five of whom are known to have survived into adulthood, married and had children. Oliver’s father,Robert Cromwell, had five brothers and five sisters, at least seven of whom are known to have survived into adulthood, married and had children. These lines were not taken very far by Noble, Waylen and others and have generally not been fully researched. Thus if you think you may be descended, not directly from Oliver Cromwell himself, but from another member of his family, you will have a lot more work to do, for you will need to trace your own ancestry back to seventeenth century, to see if you can link in with the Cromwell family of Cambridgeshire/Huntingdonshire from which Oliver sprang. Simply finding that you have an ancestor who bore the surname Cromwell does not mean that you are descended from, or even related to, Oliver Cromwell. In the sixteenth and seventeenth centuries, as today, Cromwell was not a common surname but it was not extremely rare or held exclusively by the family which settled in Cambridgeshire/Huntingdonshire in the sixteenth century and into which Oliver was born in 1599. Just as modern telephone directories and electoral registers reveal that most counties and regions, in England at least, contain a few Cromwells, so in the sixteenth and seventeenth centuries there were families of Cromwells living in many counties,most of which were probably unconnected to the family from which Oliver Cromwell sprang. It is also important to keep in mind that the male line of Oliver Cromwell’s family held and employed the surname Cromwell for only a few generations. Going backwards fromOliver, his great-great- grandfather held the surname Williams – he was born MorganWilliams. In 1497 he married a Katherine Cromwell, whose brother Thomas Cromwell became chief minister to Henry VIII and was raised to the peerage as Earl of Essex. In honour of their mother’s famous and powerful brother, their own maternal uncle, Morgan’s sons, who were of course born with the surname Williams, began calling themselves Williams-alias- Cromwell or just Cromwell. So if we wish to find OliverCromwell’s direct male ancestry in the late medieval period, we should look for a family called Williams, not Cromwell. Going down from Oliver, and looking at his direct descendants, the surname Cromwell did not last very long. The children of his daughters immediately lost the Cromwell surname and bore their fathers’ surnames. Via his sonHenry, the direct male line did continue for a time, but it survived only four generations,for Oliver’s great-great- grandson Oliver (1742-1821) left no son, and so the surnameCromwell was lost amongst Oliver’s descendants. Many persisted in using Cromwell as a middle name, as the last of two or three Christian names, but it was no more than that –a given name, not a true double-barrelled surname. Good luck with your search – we hope that it runs smoothly and proves fruitful. However, please be aware that the Cromwell Association and its officers are unable to undertake genealogical work on your behalf or answer individual genealogical enquiries. We are sorry, but we simply do not have the time and resources to undertake genealogical work or to respond to individual genealogical enquiries. Please, please,please do not write, telephone, e-mail or fax with requests or enquiries of this sort, for however rude it may seem, they will not elicit a reply. The information and guidance given here should enable you to begin and undertake your own research. If you are stuck, there are many family history societies as well as local and county records offices who can offer advice and limited assistance and many professional genealogists who (for a fee!) will undertake searches on your behalf. If you have found this information and the on-line genealogy helpful in your research, or just found it interesting, please do support our work by making a donation to support us.